Message | For anyone who has ever said, “It can’t be done,” Giovanni challenges you to think again: “Not only can it be done, but there is more than one right answer!” Thus begins the audience’s journey from the limitations of conventional thinking into a world where thinking like a magician makes anything possible. When you think like a magician, Giovanni tells his audience, you open up your mind to limitless possibilities that conventional thinking blithely dismisses as impractical or even impossible. But to succeed in today’s competitive business environment, you need to embrace the idea that Anything is Possible. 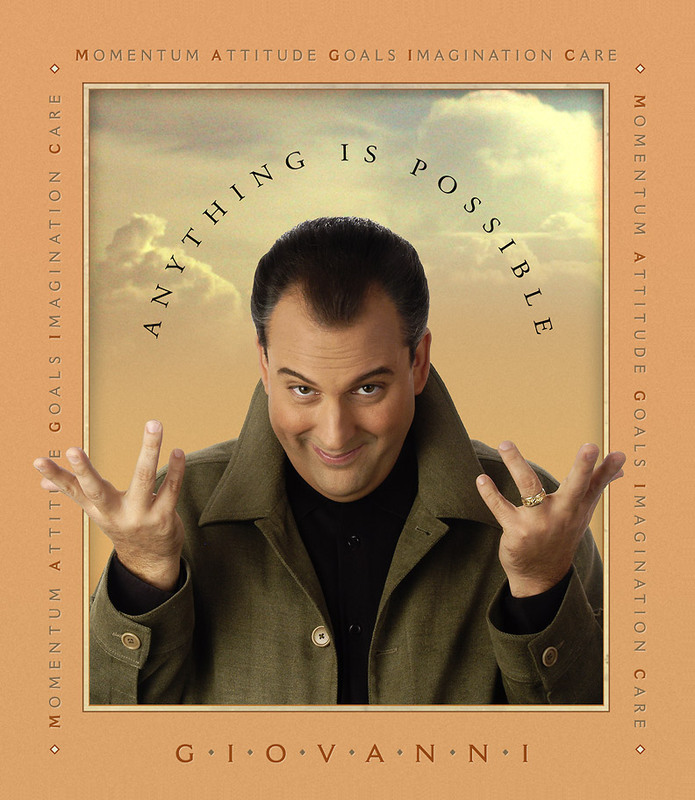 The Anything Is Possible program is the ideal opener for your event or conference. During this hour-long performance, Giovanni brings together his singular blend of mind-bending showmanship, contagious enthusiasm, high-voltage delivery and outside-the-box thinking to encourage audience members to break through self-imposed barriers and achieve their very best. (Momentum, Attitude, Goals, Imagination, Care) with unique messaging, proven business tactics and select magic routines customized to your company’s specific goals, Anything is Possible will inspire your audience to push past the sky and reach for new heights, solve problems creatively, and build long-lasting personal and professional relationships. Audience|Giovanni Experiences is passionate about delivering a customized experience that meets your objectives, exceeds your expectations and WOW’s your audience. Content that can help them grow professionally and personally. Help us understand the mission of your event and your key objectives or themes so that we can customize the program to drive home your objectives and exceed your expectations. Giovanni instills a belief that your audience can achieve what appears impossible. After all, magicians do it every day! Bottom line: Sometimes you need the impossible from your people. This program shows them how. Giovanni is available for single performances, half day and full day programs. Please call for tailored packages and pricing.